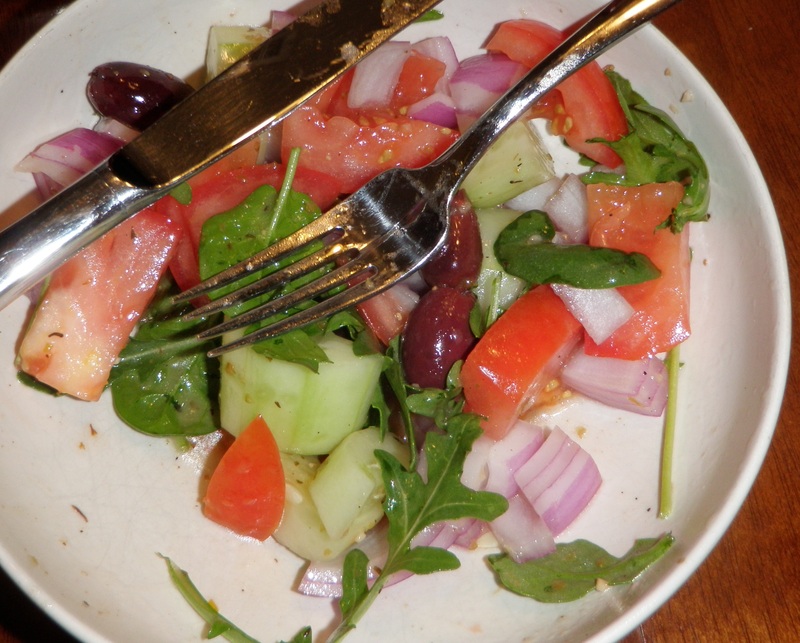 I recently went to the cheesecake factory and had one of their new tapas-style dishes and it was the most delicious greek salad I’ve ever had! I wanted to recreate this at home since it seemed so easy. The only item that was in the Cheesecake factory’s salad that isn’t on mine is feta cheese. This recipe is Vegetarian but not Vegan (there is cheese in the dressing); however, it is vegan-able if you can find a greek dressing without cheese! (I haven’t thus far). Read on for the recipe…..